Yahweh wants all beings in the universe to know for certain that His chosen Family—The House of Yahweh, Kingdom of Priests—will be fully capable of teaching, guiding and directing the whole universe when His Plan for mankind is completed. It’s set before all. 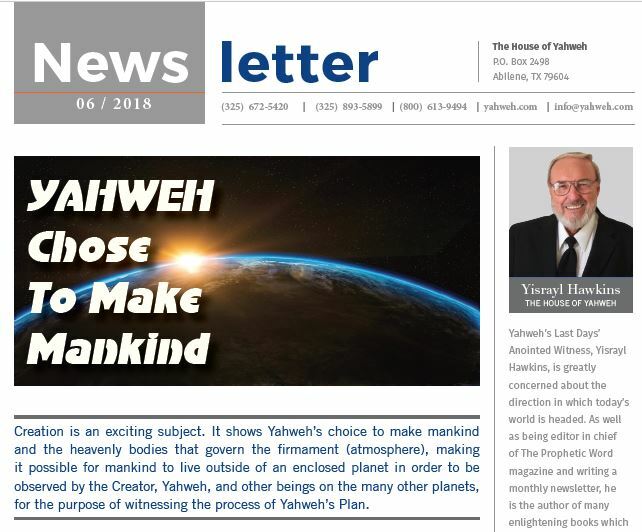 It was Yahweh’s choice to make mankind into perfect begins like Himself, and use mankind to bring perfect unity, peace, joy and love to the war-raging planets throughout the universe. Therefore, there will be no more wars. Think of that: a Family of beings capable of stopping and preventing all wars; ensuring peace, joy and love for the future. The beings inhabiting other planets in the universe know Yahweh’s Plan for mankind. In fact, they anxiously await the manifestation of the sons of Yahweh—the perfect beings Yahweh is making in His Likeness from mankind. 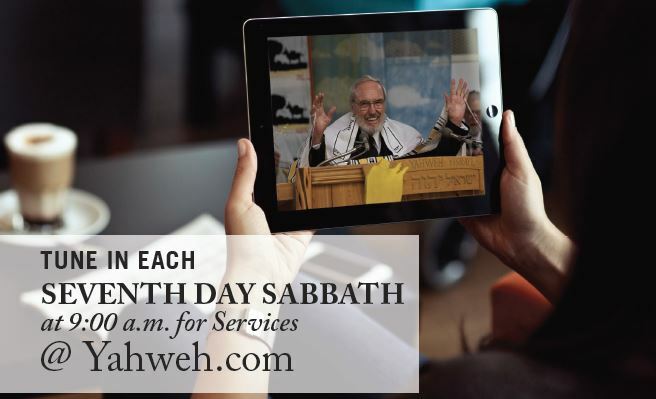 The Hebrew word translated revealing or manifestation actually means to put into service; the true value of service. The expectation of The House of Yahweh against sin and sinners will graduate and be revealed on earth and in heaven against all unholiness and unrighteousness of the present, prophesied evil-like-the-Gods religions who suppress the Laws of Yahweh in unrighteousness. Since the creation of the world, the Plan of Yahweh is clearly seen in His Eternal Power to bring Holiness to mankind, like Yahweh Himself, and give mankind Authority as it is written, so that they are without excuse. This revealing includes sons and daughters, the Family of Yahweh, the Kingdom or House of Yahweh that every person, male and female, is to seek first. That kingdom is almost finished. It’s being gathered as I write. It will be given Authority soon. Also read the Disciples’ words. The character is a humble character. As Sarah obeyed Abraham, calling him ruler; her head, whose daughters you are if you do Righteousness, and do not give way to fear. The Disciples of Yahshua were pointing out the difference in those called sons of Yahweh and the house of God worshippers. Heaven and earth are the creation of Yahweh, not the Gods. The Roman army stood on the part of the Pharisees, Sadducees, Essenes, and Herodians—the Roman Catholic Church today. The Roman army was owned and paid for by the Pharisees, Sadducees, Essenes and Herodians, now called the Roman Catholic Church or Vatican. Before moving to Rome, the Pharisees, Sadducees, Essenes, and Herodians took thousands of captives to Rome where they were building their strong army. In 70 AY (After Yahshua), they made their complete move to Rome after destroying Yerusalem, murdering about three million Seventh Day Sabbath keepers and destroying their homes, and moving everything they wanted to Rome and set up headquarters for themselves. History shows that the Pharisees, Sadducees, Essenes, and Herodians used General Titus along with 30,000 troops to destroy Yerusalem and move the Temple to Rome where they set it up and now call it the Sistine Chapel. They also took all of the artifacts of the House of Yahweh (Temple) to Rome. Until 70 AY, the reading of The Book of Yahweh was the daily oblation in The House of Yahweh. The Savior took His turn in this daily oblation when He was on Earth. When I was with you daily in the Sacred Precincts, you did not lay a hand on Me. But this is your hour, and the power of darkness. Daily, Yahshua fulfilled the Law of reading from The Book of Yahweh. In 70 AY the Pharisees, Sadducees, Essenes, and Herodians—all former Coptic Catholics—moved to the seven hills of Rome and took back their original name—Catholic. The Pharisees, Sadducees, Essenes, and Herodians were the leaders of the twelve tribes of Israyl who persecuted Yahweh’s Prophets. Their hearts turned back to Egypt. Coptic means Egyptian. Catholic means universal God worshippers. All Catholics are evil like the Gods they worship. They belong to Satan and her Gods—evil like the Gods—who are against Yahweh and His Righteousness. 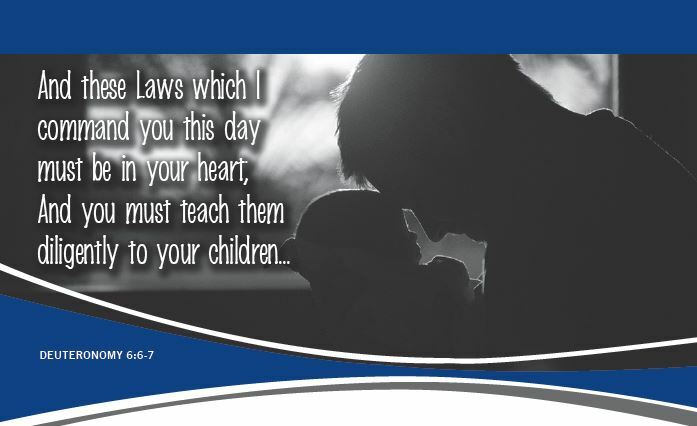 Anyone who does not practice the Laws of Yahweh belongs to Satan, as shown in your bible or The Book of Yahweh. God worship is evil. 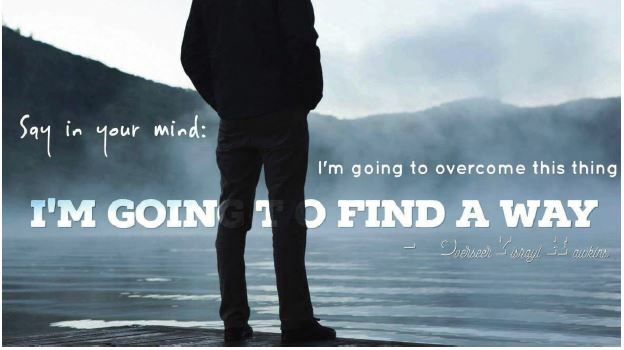 Read it for yourself. They practiced this evil throughout the forty years they were in the wilderness and are still practicing it today. They are subtly carrying out their plans to depopulate the earth, and they will succeed as is shown in Revelation Chapters 17 and 18 to a certain extent. Yahweh is allowing them to do so in order to prove to the heavenly beings and those who dwell on the earth, the sincerity of the sons and daughters of Yahweh, and the need for this Righteous Family, who were tested and willing to die rather than practice God worship. 30 By the Faith the walls of Yericho fell down, after they had been encompassed for seven days. 31 By the Faith the harlot Rachab did not perish with those who did not believe, when she had welcomed the spies with peace. They all died not having received the Promise. However, along with the House of Yahweh in this present, prophesied generation, they will receive their reward. Read again Hebrews 11:39-40 from The Book of Yahweh. The Coptic Catholic (Egyptian God worshippers) and the Roman Catholic (Roman God worshippers) held a stiff-hand in the printing of the versions of The Book of Yahweh, such as the King James Version. The word “good”, which means “God/Gods” (Satan), was substituted in the versions for the word Righteousness. Righteousness was created by Yahweh to bring everlasting peace, joy and love to mankind and the universe, eternally. Perfect Righteousness is the Strength of Yahweh, which develops friendships—peaceful relations—between people and nations, when practiced. Taking the Message of Righteousness to the world in this generation, before the nuclear destruction, is the prophesied Work of the Two Witnesses—The House of Yahweh. Did you notice ‘Strength of Yahweh’? Did you notice Strength of Yahweh? Did you notice in verses 13 and 14 ‘Strength of Yahweh’? By whom will it be preached in these Last days? The Righteous individuals, men and women, shown in Hebrews 11:23-40, held fast to Yahweh and remained true until their deaths. All of Yahweh’s Prophets continued to tell the people what their evil ways—evil like the Gods—were bringing. Their ways brought suffering and death. This is seen throughout the history of the first part or volume one of The Book of Yahweh. These were Coptic Catholics who called themselves Pharisees, Sadducees, Essenes, and Herodians. Their system of God worship (Acts 7:42-43) is Coptic Catholic. This religious system is still the same today, against all forms of Righteousness. Their pattern, seen in history and their track record, was persecution and murder of those who practiced the Righteousness of Yahweh. Evil like the Gods is the history of this religion. These were the fathers of the Pharisees, Sadducees, Essenes, and Herodians shown in Acts 7. Now compare—they threatened to kill Yahweh’s Prophet Yeremyah. They caused the people to forget the Name Yahweh and to worship the Gods. They took The House of Yahweh by force and violence. They did this with the same Roman army they used to destroy Yerusalem, move the Temple, its artifacts, and the wealth of about three million Sabbath keepers, whom they murdered, to Rome. All of these events took place just 37 years after they murdered Yahshua Messiah, the Lamb of Yahweh. Yahweh chose to test mankind on the Earth, a planet with an exterior environment, so the heavenly beings could see the sons and daughters of Yahweh being proven. That proving sometimes involved severe torture, evil persecution and evil, cruel, slow deaths on a stake; such as the means in which the Savior, Yahshua, was murdered. Yahweh says, I set these men and women in front of you, who are on trial for positions in My Kingdom, My Family, My House—The House of Yahweh. There were seven prophesied Works of Yahweh, shown in the Sacred Scriptures. 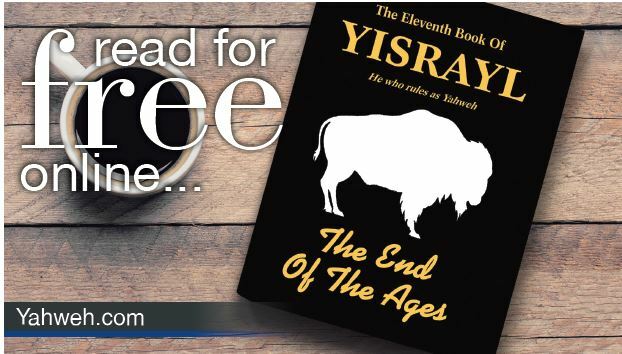 The Seventh and Last Work was prophesied for this present generation, with Yahshua Messiah sitting at the Right Hand of Yahweh, performing His job as High Priest over the Seventh Work of Yahweh. The Seventh Work began in 1934 with the birth of the second of the two brothers from the same womb called Yahweh’s Two Witnesses, Isayah Chapters 43 and 44. The computer began in the same year the second Witness was born, in 1934. Another thing that started in 1934 was the nuclear bombs that can burn the earth, as shown in Malakyah Chapter 4, in the same generation of the Seventh Work of Yahweh, which takes the Message of the Kingdom to all nations. Don’t miss my next article: The Gods Had Nothing to Do with Creation. The Prophecies show the present Work of the Two Witnesses started with the prophesied birth and naming of the last born of the two brothers whom Yahweh calls His Witnesses, in 1934. One of their prophesied jobs, foretold by Yahweh’s Prophet Isayah, is the Two Witnesses would clearly show that Yahweh is the Creator and Heavenly Father, not a God, and the Gods had nothing to do with Yahweh’s Creation. God worship was created by Satan after she turned against Yahweh. God worship is used by Satan, the serpent, to deceive the whole world. In the history of mankind, many have proven themselves faithful to Yahweh. They will soon be resurrected and given their rewards by The House of Yahweh. All of these Blessings will be added to you, including raising all the dead. Yes, Yahweh’s Family will be given that Authority. The Plan of Yahweh to make mankind into perfect sons and daughters, and to give them Authority over the universe, will be completed in this generation—the Last Days.